The ANS Gspa W is a custom-made wooden spa that features an elegant glass sink bowl. The ANS Gspa W features removable side panels, an adjustable footrest, polished chrome hardware, stainless steel shower hose, built-in LED color therapy light, FREE matching pedicure stool. 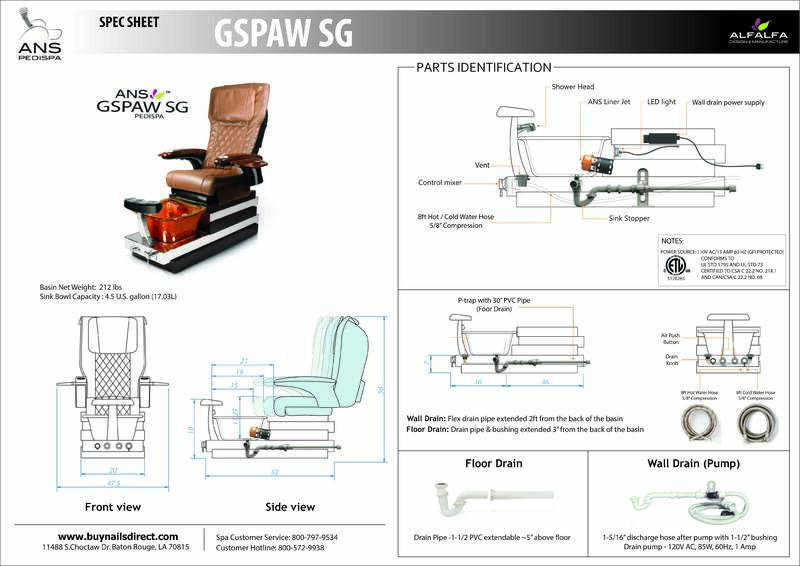 The ANS Gspa W also includes a premium massage chair of your choice. The ANS Gspa W is custom-made and custom-built with your choice of custom wood-laminates. Each ANS Gspa W includes two color choices; 1 base color and 1 panel color. Our beautiful round bowls are available in three gorgeous colors. Choose from Gold, Crystal and Nickel. Square glass bowls are also available as an option for salons that want a different style and look. Choose from Gold, Nickel, Ruby or Crystal. The ANS Gspa W is available in multiple color options that make each spa unique and customized. Each ANS Gspa W is made-to-order by our expert carpenters following your details and specifications. The ANS Gspa W is also ETL-certified for safety and is carefully tested by trained technicians before leaving our location. 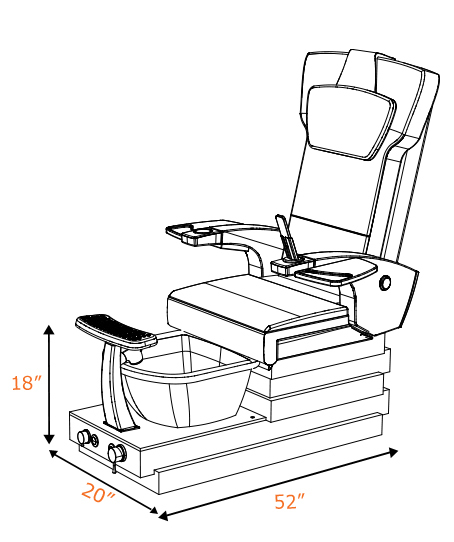 For convenience, the ANS Gspa W has removable side panels for easy access to the interior of the pedicure spa. Each pedicure spa also comes equipped with a powerful ANS Liner Jet for a soothing whirlpool effect. Each ANS Gspa W includes a genuine Human Touch Massage Chair. Human Touch massage chairs come in a variety of colors and are made with soft, marine-grade leather.